Actuators are recognised as major contributors to efficiency, economy and safety. They facilitate the quick start-ups demanded by today’s commercial pressures and they play their part in supporting the demands of modern business environments. 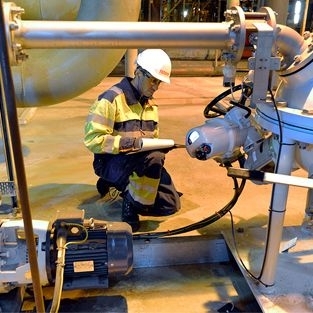 Rotork provides actuator removal, service, repair, test, re-connection and re-commissioning on a wide range of electric, pneumatic and hydraulic actuators, including non-Rotork units. Our customers frequently use Rotork Site Services to remove, overhaul, reinstall and commission hundreds of actuators concurrently in our workshops during shutdown periods. We can carry out upgrade projects simultaneously to ensure that customers make the most of their plant shutdown time and we excel at meeting tight shutdown schedules. Rotork will work towards mutually agreed deadlines to ensure that your actuators are fully operational in time for your return to service.